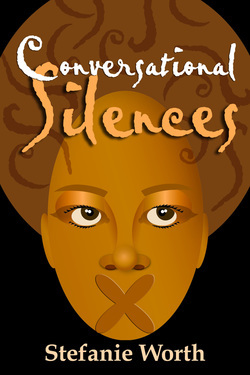 "Tender emotions are the words that pop in my mind when I think of Conversational Silences by Stefanie Worth. The book was written with a delicate hand and the words allowed passion and love to seep through. Readers of poetry will enjoy the gentleness of the compilation." Enter my world of unspoken interchange. creating children and preserving their essence. and struggling today in your strangled reality. I won't tell a soul. on our clenching bodies warm and wet. scream (too loudly) in bed. do not know, sorting the linemen from the tight ends. shamed next to your body warm and wet. © COPYRIGHT 2007-2018. ALL RIGHTS RESERVED.